Having the harvesting season, more and more mutated plants are found. 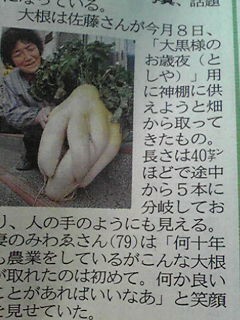 ↑ From Sankei newspaper, Ibaraki 12/17/2011. 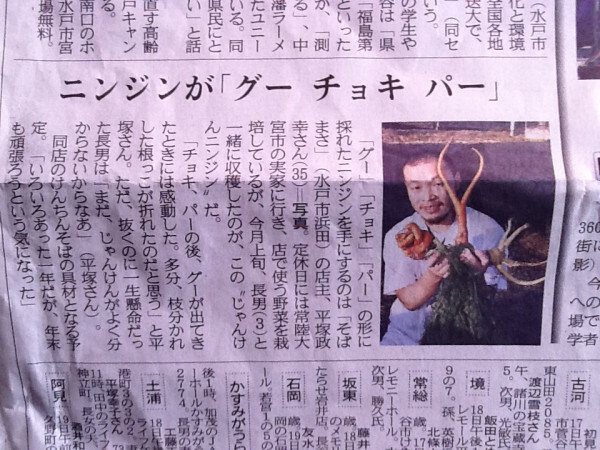 The man who runs his Soba shop grew these “carrots”. He is “happy” to find them. He thinks it looks like paper, scissors, rock. He has no question to serve them at his shop. 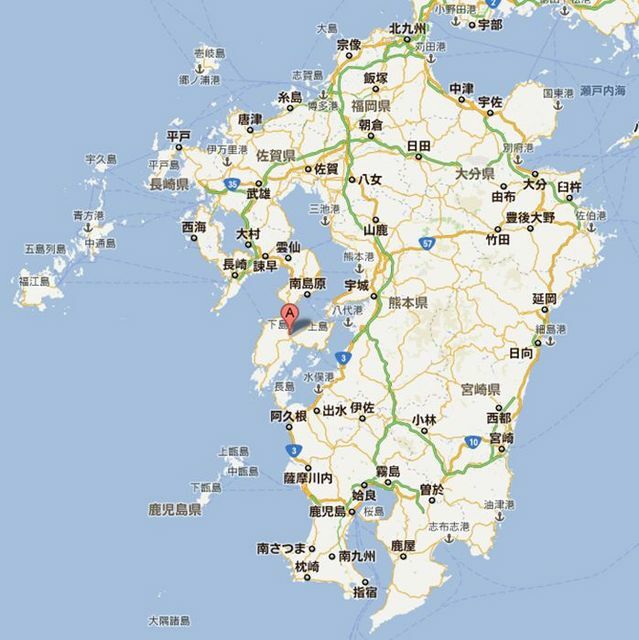 ↑ In Kyushu. (The location is in the picture below.) 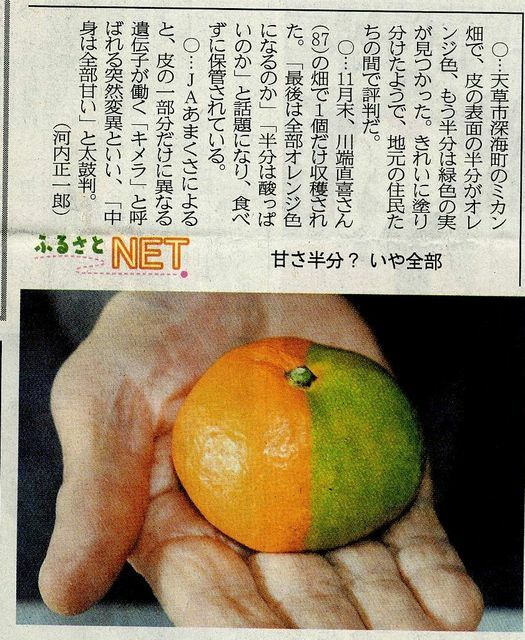 They grew a tangerine colored half orange and half green. It was harvested in late November. This is a kind of mutation called chimera. FBI Says Activists Who Investigate Factory Farms Can Be Prosecuted As TERRORISTS!